The Museum is closed 30 Nov, 1 Dec, 21 Dec – 3 January 2018 but is open every other day of the year. Thank you for your patience! 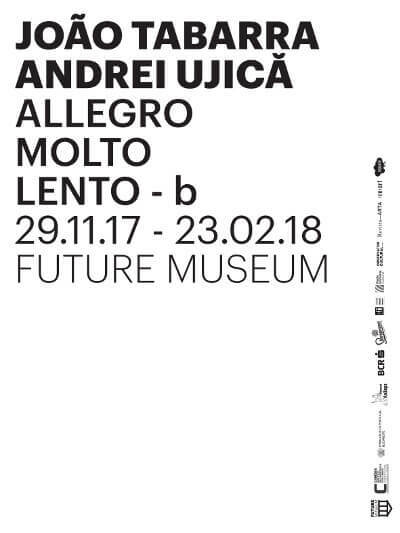 Joao Tabarra’s site-specific installation ‘Allegro Molto Lento – b’ reinterprets Andrei Ujica film trilogy Videograms of a Revolution (1992), Out of the Present (1995) and The Autobiography of Nicolae Ceaușescu (2010) in the gallery context which is dismantling Ujica’s syntactic films into another reading – turning our perspective from the narrative medium, in our case from three particular historical events to one comprehensive Ujica’s complexity. This installation combines fragments that come from different mediums and are put together in the same space with the purpose of creating the emergence of new circumstances. Right in the centre of the space are projected three fragments taken out of the context from Andrei Ujica’s film ‘Out of The Present’, three apparently random layers re-edited to generate the exact distance in the frame of <nature> being invariably bigger than <history>. The historical events related part is manifested through 4 channels of sound – voices, chosen words and sounds that are also taken from Andrei Ujica’s previous work, combined and coming from all the corners of the room. These pieces of sound are subtitled and projected on a black cloth. Their principle is to create a narrative that underlines precisely the time, the space, the historical events and how they transform when observed from a different perspective. Together with the visual half, the whole context gives us a hint about the greatness of both history and nature and how time plays with both, the first being subjected to temporality and the latter to atemporality, but both being governed by evolution in slower or faster processes. We see the greatness and wilderness of the planet as it is and hear the roar of history unravelling. The already established work of the artist is a sphere which can always be broken to smaller pieces and glued together to bring forth something completely new. João Tabarra (Lisbon, 1966) studied photography at Ar.Co (Centre for Art and Visual Communication) and currently lives and works in Lisbon. He began exhibiting regularly at the end of the 80’s, having today a solid path that includes participating in important national and international exhibitions, both individually and as part of collectives. He is represented in prestigious (institutional and private) collections to which his artworks belong, both in Portugal and abroad. João Tabarra is currently teacher at the Moving Image in the Media Arts department, at the HGK Karlsruhe University for Arts and Design, Karlsruhe, in Germany. Sophia Schiller (Rottweil, 1992) studied at the Saarland University Psychology. Since 2015 she studies Film directing and scriptwriting at Karlsruhe University of Arts and Design with Răzvan Rădulescu and Andrei Ujica. Her Short Film “St. James Infirmary” was presented in Doclisboa 2017 (Green Years Section). 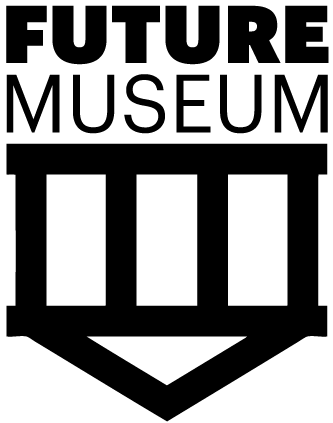 The Future Museum’s 2017 program objectives are to articulate the position of Romanian artists who were born in Romania and then either settled in another country or spent many years abroad. The programme started in May 2017 with the solo exhibition by Ovidiu Anton and the summer season continued with Anetta Mona Chisa & Lucia Tkáčová and this autumn’s exhibition is a collaboration between the artist Joao Tabarra and the film director Andrei Ujică. This event is organised by Future Museum (Czech Centre Bucharest), with the support of BCR, Instituto Camões, Embassy of Portugal in Romania and Staropramen. Media partners: RFI Romania, Radio România Cultural, Observator cultural,Revista ARTA, The re:art, Revista Zeppelin.